There are many aspects of self-management that are worth incorporating into more traditional organisations: using technology to support our work, finding ways for people to choose why they work on and with whom, and shifting managers' mindsets, from supervisor and task-allocator, to enabler. 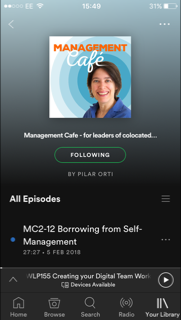 For the full transcript, head over to the dedicated site Management Café Podcast. Older PostWLP162 - Should we be tracking people's time?